You must make reservations at least 5 minutes in advance of the time at Timmer's Resort. At Timmer's we specialize in making your event memorable. We have the Parlor that accommodate 35 guests for a sit down dinner. The main dinning room can accommodate 75 guests for a sit down dinner and the bar, 50 guests for a cocktail and appetizer party. In the summer our outdoor grounds will make your special event or wedding memorable.. We can arrange tents and everything needed for an outdoor venue. We cater to events as casual as a pig roast to a carpeted and chandelier tent event. Your desires will be our goals. Iconic and generationally-historic, Timmer’s Resort has been providing one-of-a-kind experiences to our guests and families visiting the resort for nearly 150 years. Our beautiful lodge has fireplaces in each dining room, as well as beautiful views of Big Cedar Lake and its surrounding pines and native foliage. The restaurant, which features cuisine from Chef Audra Grueneberg, was named among the Top 100 Brunch spots by Forbes in 2017 and offers a menu of casual cuisine and nightly specials including BBQ ribs, lobster tails, and slow-roasted prime rib. Make your reservation today and enjoy Mother's Day Brunch with our staff, as we prepare a special buffet menu sure to please everyone...but mostly Mom! Guests will enjoy an omelet station, pancakes, blintzes, shrimp, salmon, carved New York strip, honey baked ham, and assorted pastries and desserts. TIMMER'S IS A FAVOURITE PLACE OF OURS, AND HAS BEEN FOR AT LEAST 5 YEARS. 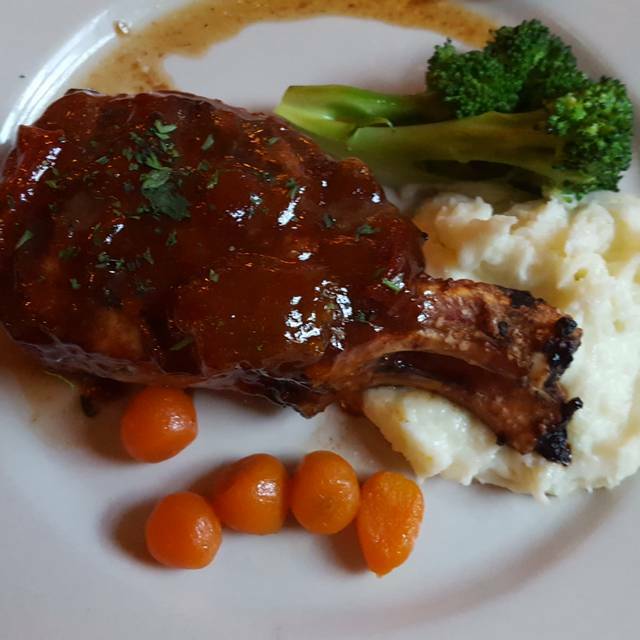 WE HAVE NEVER BEEN DISAPPOINTED IN THE FOOD, AND A LOT OF THE SERVERS AND STAFF ARE BECOMING MORE THAN JUST ACQUAINTANCES. i'M LOOKING FORWARD TO OUR NEX VISIT, SOON. YUM. Easter brunch was very good. Only complaint is that the food could have been warmer. Otherwise it was great! Thank you for working on the holiday. We all appreciate it. 50+ years old. On a snowy WI Sunday, brunch at 12:15 pm couldn’t have been more perfect. Sat near fireplace. Warming, with hot coffee, cordial & attentive waitress, buffet options awesome in my opinion. Lovely setting, great service, wonderful food - my husband had scallops and said they were the best he ever had! Outstanding meal. The special spinach walnut salad with goat cheese was off the charts. Previously have loved their Lamb chop appetizer but wasn’t available that night. The ambiance, food, and staff were great. We would highly recommend. Great food, location, and overall ambiance. The service in the beginning was initially slower with getting drinks and ordering but picked up thereafter. Great food, great atmosphere. Will definitely come again! Was great to reserve a table of ten on line. everything was ready for us when we arrived. As always the food was great with friendly waitstaff. Very polite as my five year old was addressed by Sir. Very good ovall experience. Keep up the great work! The food was outstanding. Sophie, the hostess, was outgoing and cheerful. Our waiter Garrett was attentive and knowledgeable about the menu. We love Timmer's. As usual, the food was fantastic and the service great! The fireplace was roaring, the candles lit, and the ambiance of the entire setting was memorable. Thanks for a lovely evening! lacked its usual good flavor. This is my favorite place! The food is always delicious, the waiters and waitresses are personable and efficient. The brandy old fashions are the absolute best! LOVE Timmer's!!! The taste of the food was very good and the quantity was enough to keep us well fed. However the food came warm but not hot enough to our liking. Our server took her comments to management who came and noted our concerns as well. Our waitress was fabulous! We were celebrating my moms 76 bday and they decorated the table and brought her a dessert she truly felt special for the day! The deer even came out to make a special appearance while we had a cocktail in the bar! As usual fantastic venue great food! Our group of 8 had a great time, awesome food, and tasty house wine! What a lovely discovery!! First time there and everything we ordered was amazing. Service was great! They were able to accommodate special dietary needs. Very clean and spacious facility. We will absolutely be back! Thank you for making our Valentine's Day celebration so special!! Amazing, we love Timmer’s and will return. It is comfortable and the noise level is perfect to have a conversation without being overheard or needing to compete with the neighboring table. Almost like you are in a private room. Our waitress was excellent. I appreciate the Gluten Free options and the extra steps they take to ensure my meal is as tasty and beautiful as everyone else’s. Love the ambience of Timmers. The location is great, with very good food and a friendly staff. Great for special occasions. Got a lovely table by the fireplace. Crab cakes and oysters tasted fresh! The scallops were cooked perfectly. Great atmosphere. Wine menu could be expanded and guys were looking for more whiskey/scotch options but other than that it was a very nice night. Beautiful space with friendly staff! Laura and I had an amazing evening. We loved the atmosphere, friendliness and of course the amazing food. Looking forward to visiting again very soon. Lovely location; will have to try when the weather is warm. Had an absolutely fantastic evening at Timmer's Resort. Visited on a Saturday evening at 7:30pm. The restaurant was full, but we still received wonderful, attentive service from Ellie. The food and drinks were brought promptly. Could not say better things about the service we received on this crazy evening. Would highly recommend the steak sandwich and the eggplant fries. My first experience here since Timmers changed hands. I was very impressed. Great service, great food, great atmosphere. Loved the ambiance. Our meals were perfectly prepared, included some out of the ordinary ingredients and came in ample portions making them a good value for the price. Our visit to Timmers was wonderful. Food, atmosphere, staff, everything made it a very enjoyable date. We will definitely be back. Winter atmosphere was beautiful (had just snowed earlier that day) - definitely want to visit in the summer months. The waitress did not know what a hand crafted cocktail was. She was not familiar with menu recommendations. Food was average. Small cup of soup and skimpy salad. 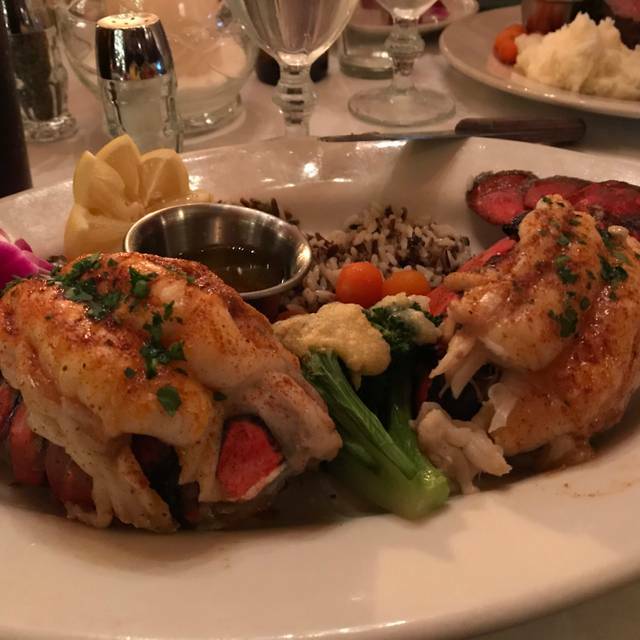 We have never been disappointed with a meal at Timmers. Always quality food, with quality presentation. 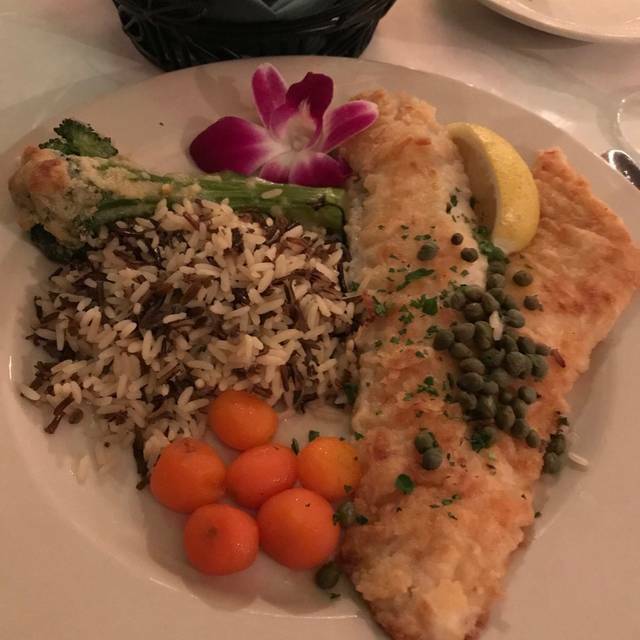 The walleye is outstanding, as are all the dishes. Very comfortable atmosphere. Nice entertainment on Friday nights. Never missed a beat on New Years Eve. Hello, Thank you so much for your kind words. We at Timmer's will always try to make each night special. We appreciate your patronage and look forward to seeing you again real soon. This was our first visit under the new ownership group and we enjoyed our visit. Our visit was for New Year's Eve and therefore they had a smaller menu of items to choose from. 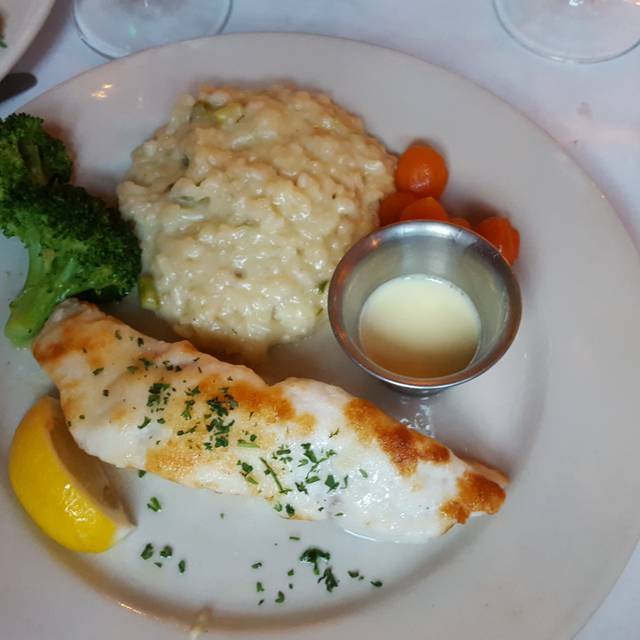 We had the small filet and the parmesan crusted grouper, both were flavorful and big portions (probably more than needed). Kim was our server and she was attentive and helpful. The ambiance is always great with the fireplaces roaring while the snow was falling outside. Definitely will be stopping back again to check out the regular menu. Went for New Year’s Eve. Inspire of horrible weather we were so glad we went. 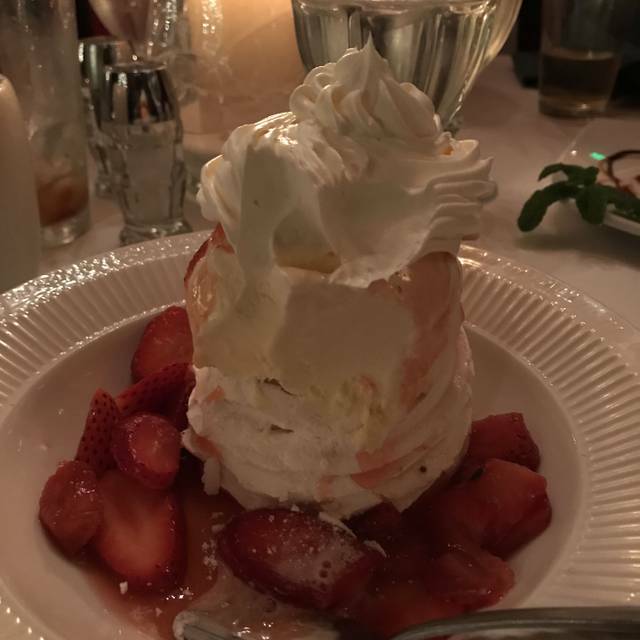 Food was amazing as usual, we were seated promptly, the staff took our picture at the nicely decorated fireplace and the meal came out correct as the flavors were amazing, finished off with coffee and dessert. Enjoyed New Year’s Eve here. Food was very good. Nice options. Would recommend and will be back. We love Timmer’s. It is one of our favorite places to go for dinner on Saturday night. We enjoy the patio dining in the summer and the big old fieldstone fireplace in the winter. Great food and atmosphere! We love this restaurant and always have had great food and great service. The food was great for all 4 of us and we hadn’t seen each other for a long time so we sat at the table after dinner for a long time. No one rushed us out and even kept asking if we needed water or coffee. Class act we will be back again!!! Seriously so cozy and comfortable. The beer batter fish is the best around along with great old fashioneds...however, little too much ice. We so enjoyed our Sunday Brunch and we were surprised that we were there on a Sunday when the specialty of the this Sunday's brunch was Mexican entrees along with there traditional entrees. The Mexican dishes were as good or better then many of the Mexican restaurants we frequent. The atmosphere was so pleasant and cozy with elegant, subtle Christmas decorations which really put us in the holiday spirit. We have decided to be sure to think of Timmer's for a wonderful dining experience more often in the future.